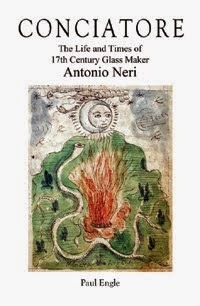 Among the ten children born to glassmaker Antonio Neri’s parents, three of them were girls; Lessandra, Maria, and Lucrezia. Because women were not allowed to legally own property, or sign contracts many of the usual sources of information are silent. Most of what we can learn about them is through their relationships with the men around them. 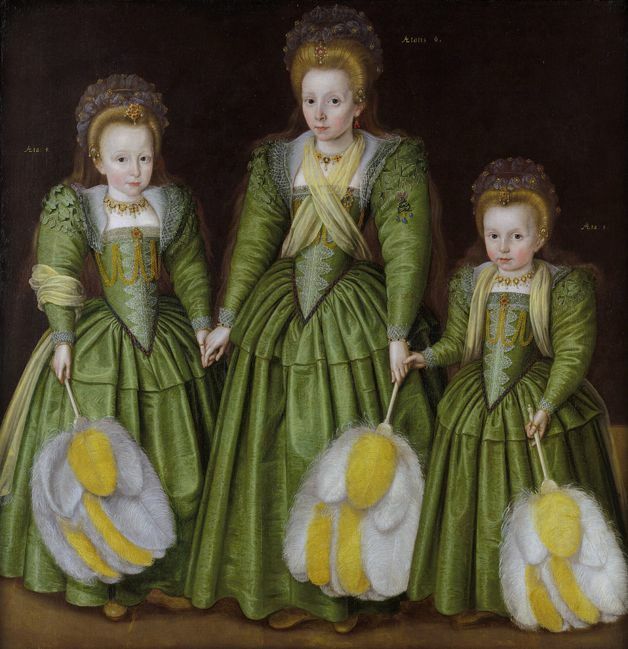 The Neri's were a patrician family, and the children enjoyed a very comfortable existence for the late sixteenth century. There is evidence that all three sisters survived into adulthood. Lessandra was the first-born, nine years older than Maria, and twelve years older than Lucrezia. When Lessandra was around age seventeen, her famous father, Neri Neri, was appointed as personal physician to the newly crowned Grand Duke Ferdinando de’ Medici. However, only a few short years later their mother Dianora died at age 42, of causes that are unknown, perhaps childbirth. The girls were 22, 13 and 10. A few short years later they lost both their father, and a brother. Two information sources for the Neri sisters are their birth records kept at the Opera del Duomo and genealogy records for the family which are filed at the National Archives, both in Florence. The baptism records hold a wealth of indirect material through the names of their godparents. While these do not tell us anything specific about them, it does tell us who their influences were; who they looked to for strength and spiritual guidance, under the circumstances, this is the best we can do. Lessandra (b. 1572) claimed Baccio Valori as her godfather. The Valori family had a long, tragic history with the ruling Medici family. His father, grandfather and great-grandfather were all close Medici supporters, yet each ended up exiled, imprisoned, or executed after relationships soured. On one hand he was faithfully employed by the Medici, yet he reportedly spent a good deal of his time collecting letters and papers documenting his family’s close support of Girolamo Savonarola, the firebrand Dominican priest who lead Florence in the late 1490s, after the Medici had been temporarily expelled from the city. Lessandra’s godmother was Marietta Gaetani, also from a noble family, which included dukes, cardinals and popes. They played prominent roles in the politics of Pisa, Rome and Naples for several centuries. Marietta’s father owned the house from whose tower Galileo showed the moons of Jupiter to Grand Duke Cosimo II in 1610. The genealogical records imply that Lessandra later took vows with the S. Agata monastery on the North end of Florence and took the name suor Emilia. Maria’s (b. 1581) godfather was Monsignor Giovanni Alberti. Giovanni was the son of a Florentine senator. He served as protonotary apostolic for Pope Gregory XIII and as bishop of Cortona under Pope Clement VIII. A godfather serving in the papal inner chambers was a good family contact indeed. Also appearing for Maria was Pierfilippo Perini, a physician and lawyer. The Registri lists Maria Neri's godmother as Alessandra di Girolamo Pepi. Among the prominent Florentine republicans was Alessandra's father, Girolamo. He was tortured by Alessandro de' Medici in the 1530s, upon the family's regaining control of Florence after the siege.The genealogy indicates that she married into the Boscoli family, but further work is needed to identify a specific individual. Lucrezia (b. 1584), the youngest Neri girl, has a single godparent listed in the register, Montiglio degli Albizi. The Albizi family boasted powerful bankers and politicians. This was another case where deep divisions over Medici rule drove a family apart. Perhaps the best-recognized member of the Albizzi family was Eleonora degli Albizi. She was the young consort of grand duke Cosimo I. Folklore has it that in 1566, Cosimo intended to retire from public life and marry Albizi quietly, after the birth of a girl, but his regent son, Francesco I, forbade it to due to the inheritance complications that would ensue. The story is that Cosimo's long-time personal secretary, Sforza Almeni, leaked word of the clandestine marriage to the family. For his betrayal, an enraged Cosimo murdered Almeni in cold blood. Eleonora later gave birth to Don Giovanni de’ Medici, the uncle and friend of Don Antonio, Neri's sponsor. The specific Albizi family member we are interested in, Lucrezia's godfather, Montiglio degli Albizi, seems to have eluded history. Lucretia married into the Talenti family, but no further details are known.